This Extra Field Type is available in WordPress Creation Kit Hobbyist or Pro. 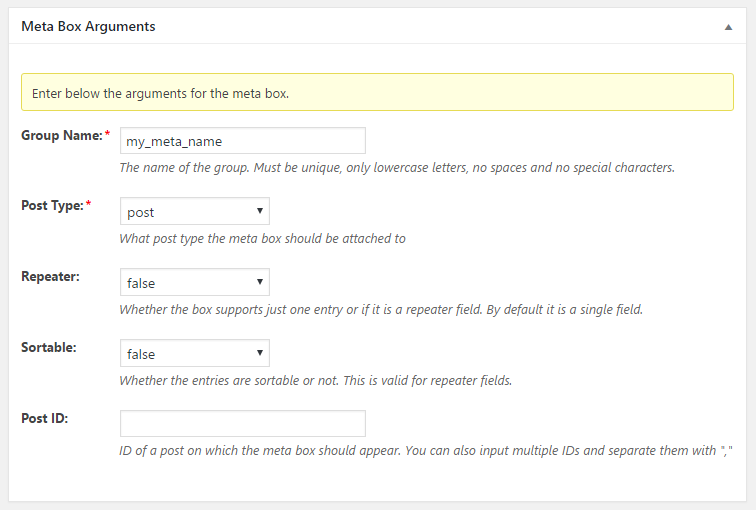 The Custom Post Type Select Field displays a dropdown of all available entries for a specific Custom Post Type. In the options for this field you can choose what specific post type a user can select from. 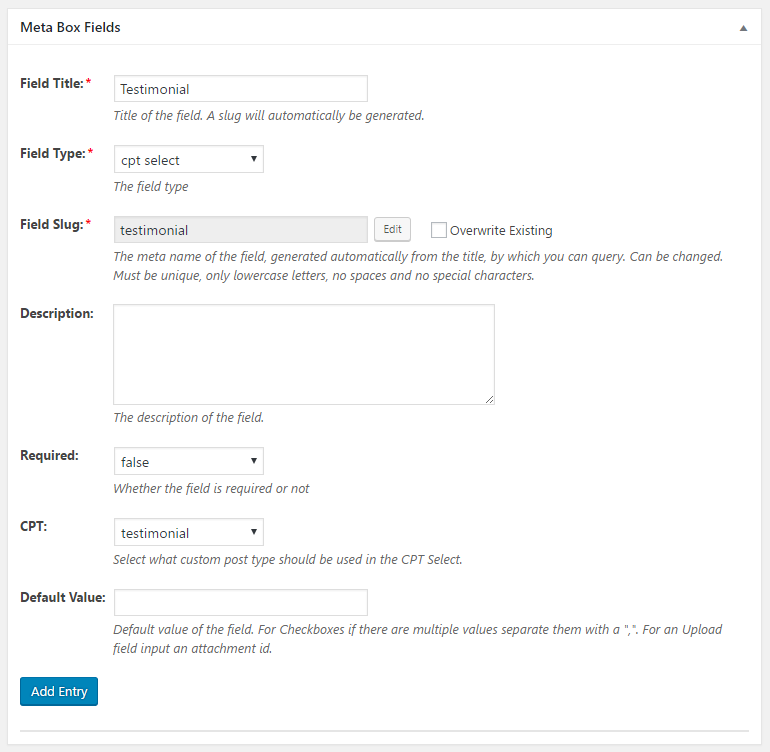 To add a Custom Post Type Select Field to a previously created Custom Meta Box, under the Meta Box Fields tab simply insert a Field Title and under Field Type make sure you select Custom Post Type Select. The Custom Post Type Select Field returns the post title or post object. The Custom Post Type Select Field returns the post id.